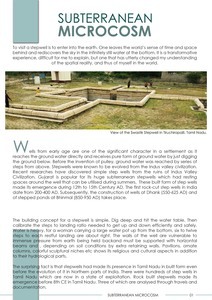 SUBTERRANEAN MICROCOSM To visit a stepwell is to enter into the earth. One leaves the world’s sense of time and space behind and rediscovers the sky in the infinitely still water at the bottom. It is a transformative experience, difficult for me to explain, but one that has utterly changed my understanding of the spatial reality, and thus of myself in the world. Wells from early age are one of the significant character in a settlement as it reaches the ground water directly and receives pure form of ground water by just digging the ground below. Before the invention of pulley, ground water was reached by series of steps from above. 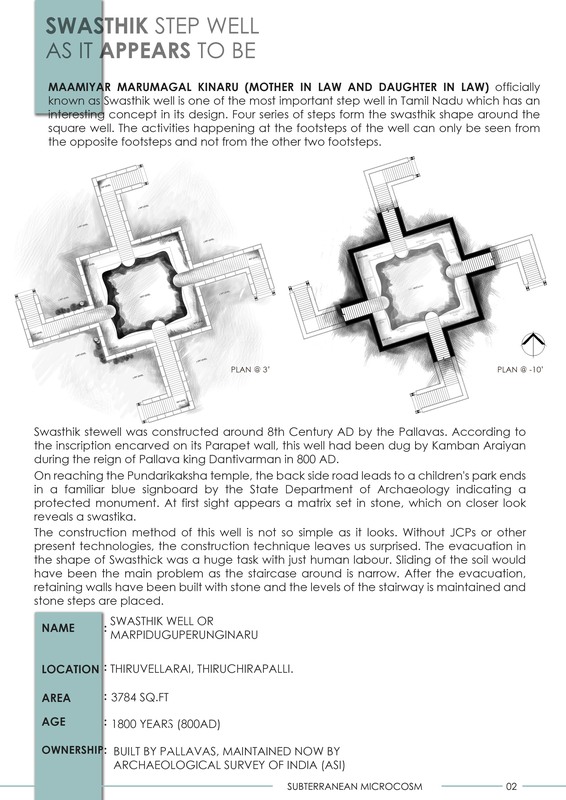 Stepwells were known to be evolved from the Indus valley civilization. 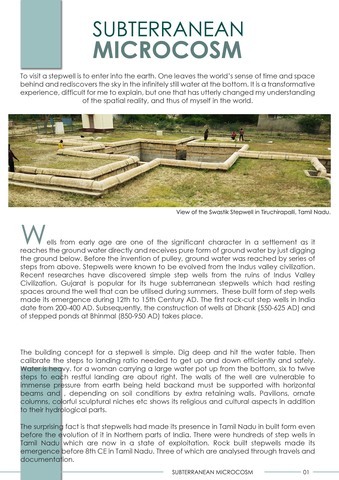 Recent researches have discovered simple step wells from the ruins of Indus Valley Civilization. 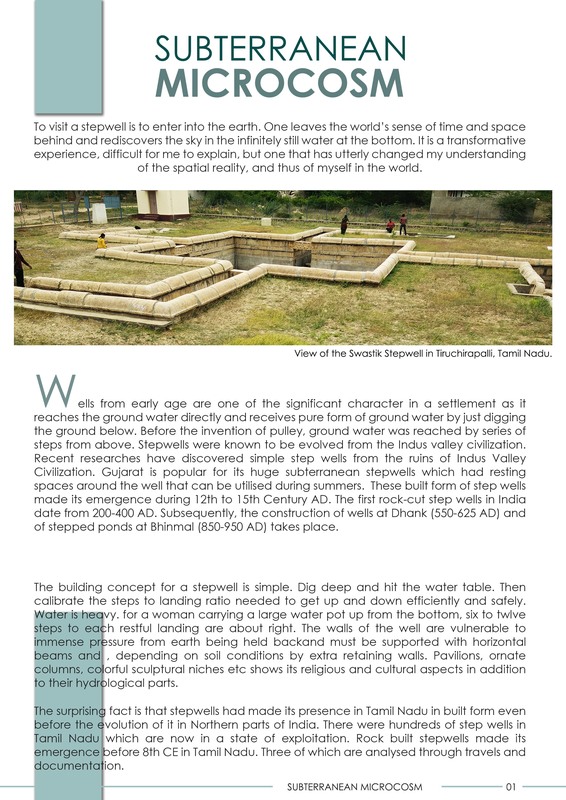 Gujarat is popular for its huge subterranean stepwells which had resting spaces around the well that can be utilised during summers. These built form of step wells made its emergence during 12th to 15th Century AD. The first rock-cut step wells in India date from 200-400 AD. 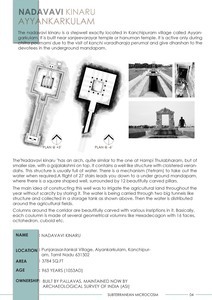 Subsequently, the construction of wells at Dhank (550-625 AD) and of stepped ponds at Bhinmal (850-950 AD) takes place. The building concept for a stepwell is simple. Dig deep and hit the water table. Then calibrate the steps to landing ratio needed to get up and down efficiently and safely. Water is heavy. for a woman carrying a large water pot up from the bottom, six to twelve steps to each restful landing are about right. 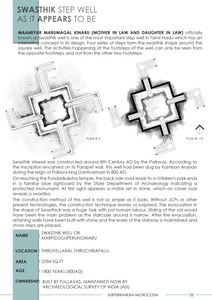 The walls of the well are vulnerable to immense pressure from earth being held back and must be supported with horizontal beams and, depending on soil conditions by extra retaining walls. Pavilions, ornate columns, colorful sculptural niches etc shows its religious and cultural aspects in addition to their hydrological parts. The surprising fact is that stepwells had made its presence in Tamil Nadu in built form even before the evolution of it in Northern parts of India. 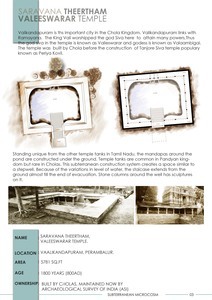 There were hundreds of step wells in Tamil Nadu which are now in a state of exploitation. 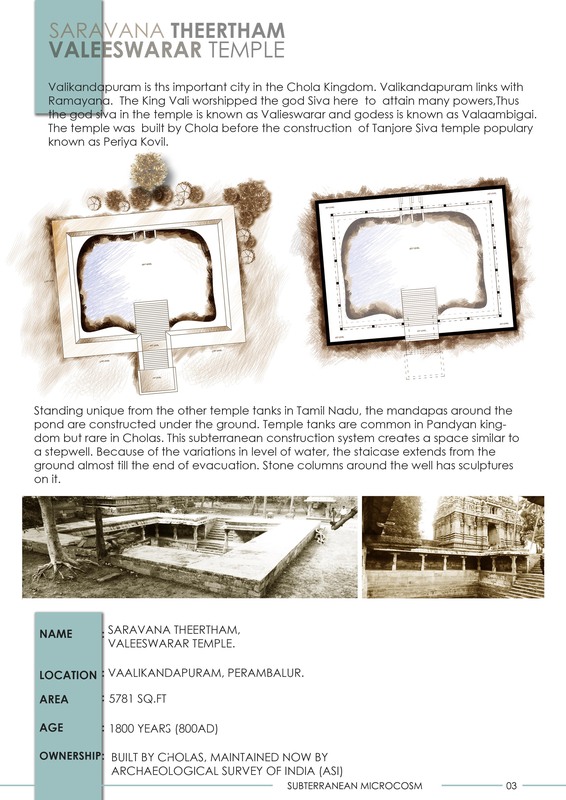 Rock built stepwells made its emergence before 8th CE in Tamil Nadu. Three of which are analyzed through travels and documentation.